Wednesday, August 30, 1911: Really there isn’t very much for today, so I won’t write about any of the occurrences. 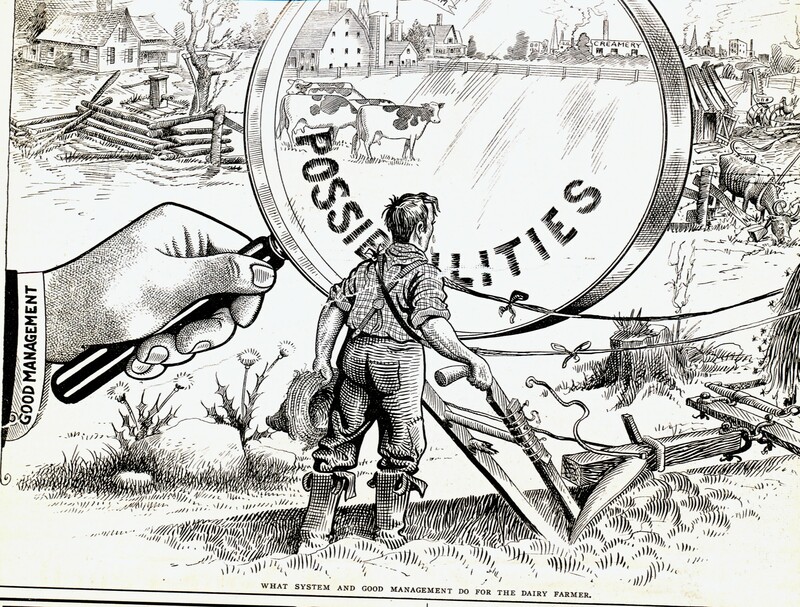 Since not much happened a hundred years ago today, I’m going to share a cartoon I found in the July 15, 1911 issue of Kimball’s Dairy Farmer magazine. Caption: What system and good management do for the dairy farmer. Posted on August 30, 2011 August 30, 2015 by SherylPosted in Farming and GardeningTagged cartoon.